Last month the council climbing committee, under the direction of Kevin Hansen, completed another BSA Level-1 Climbing Instructor Course. We had over three dozen new or re-qualifying instructors participating. These are dedicated scouters. 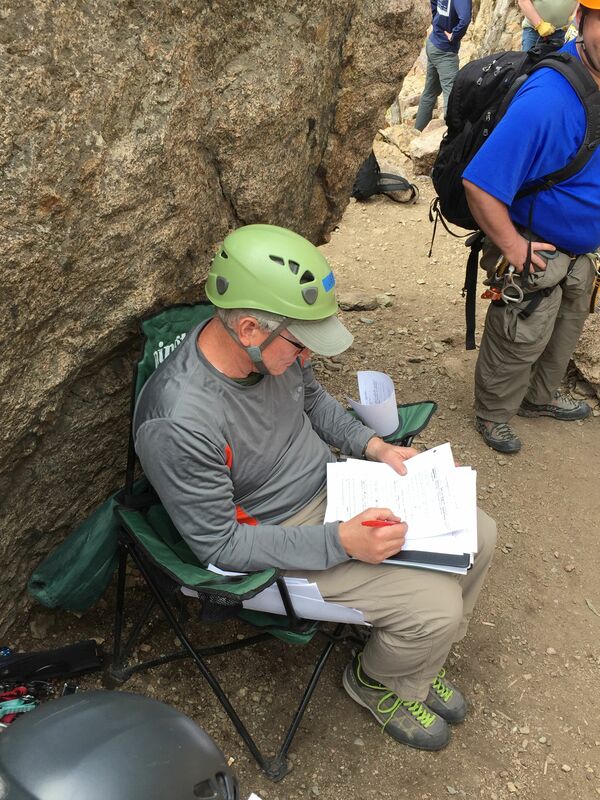 The Level-1 course requires a significant sacrifice of time–25 hours over three separate days, to achieve a certification that allows successful graduates to assist with climbing activities that will result, along with additional workshops and trainings, in an eventual Level-II Climbing Instructor designation. A level-II instructor may take the lead in climbing activities that are conducted under the leadership of BSA Climbing Instructors. 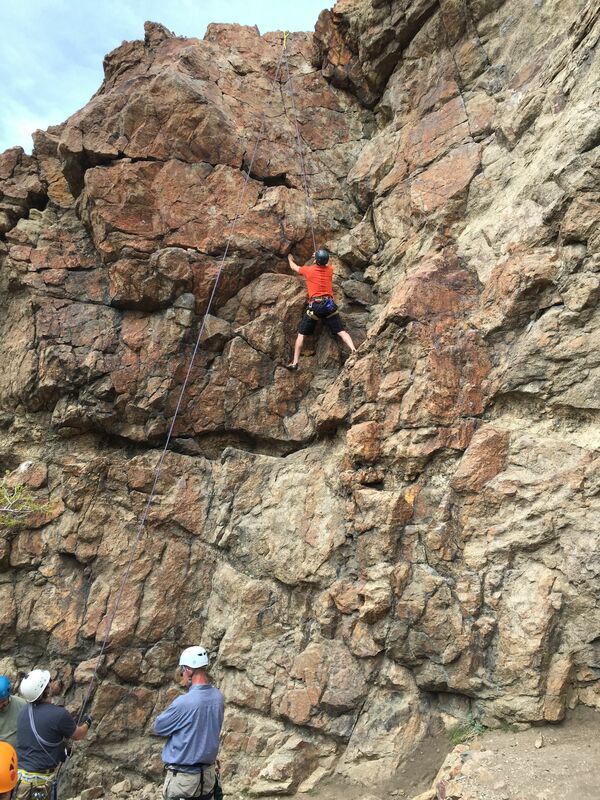 Why take the time and effort involved in becoming a BSA Climbing Instructor? Climbing is a great way to introduce young people (and adult leaders) to the excitement and rewards of true high adventure. Few activities that are reasonably accessible to young people, ask them to reach inside and find hidden reserves of confidence and courage that climbing can. And while units can find qualified instructors from other sources, a BSA Level-II Climbing Instructor has been specifically trained in the skills he or she needs to offer a safe and exciting program to scout-aged youth. For more information on becoming a BSA Climbing instructor check out the climbing web page on the Trapper Trails Council website.